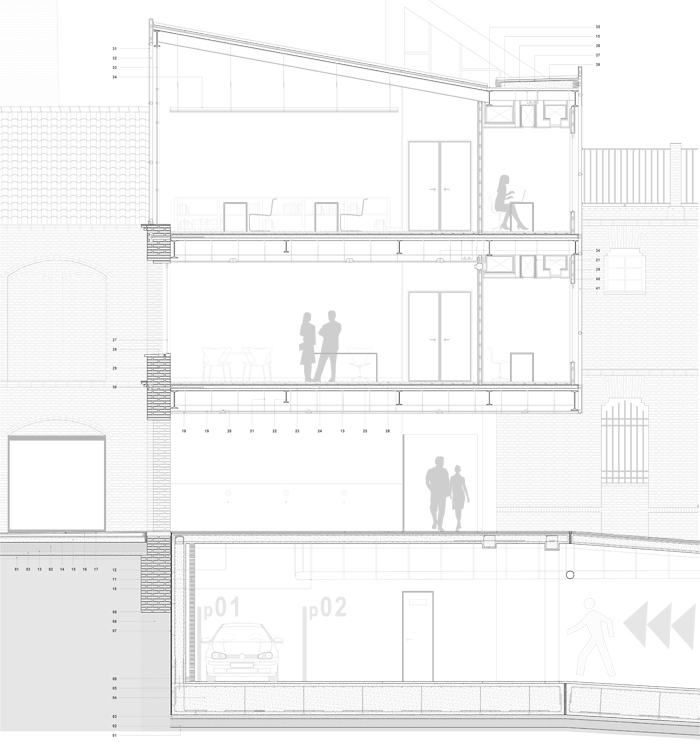 The start point for the center of arts was the consideration of the Historical Centre of Seville urban plan as a capillarity with axis in two directions. 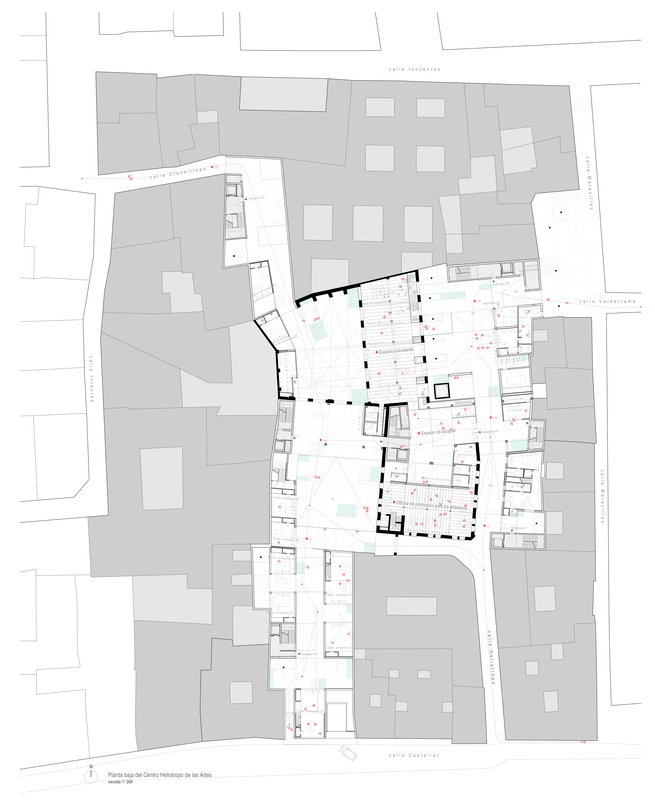 This architectonic intervention was suggested in the Urban Plan for the North of the city centre of Seville. 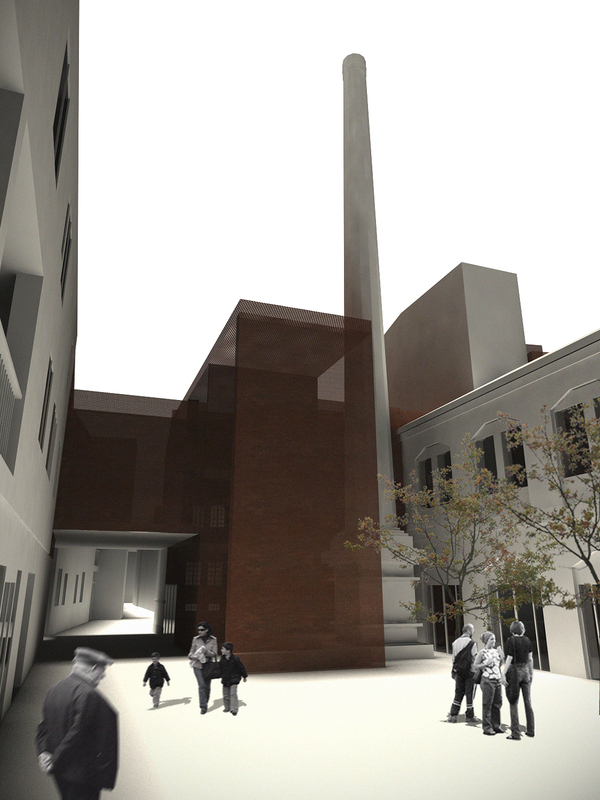 The project want to allow the cross communication and generate a public space inside the block where it is located. 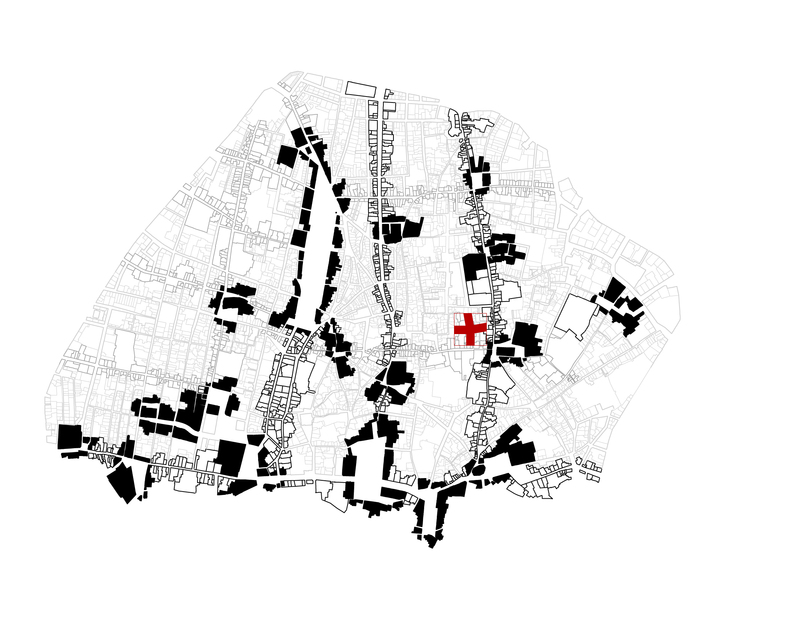 The intervention can be considered as an acupuncture strategy in the urban network, which gives the enough permeability to take the needs that the urban fabric requires. 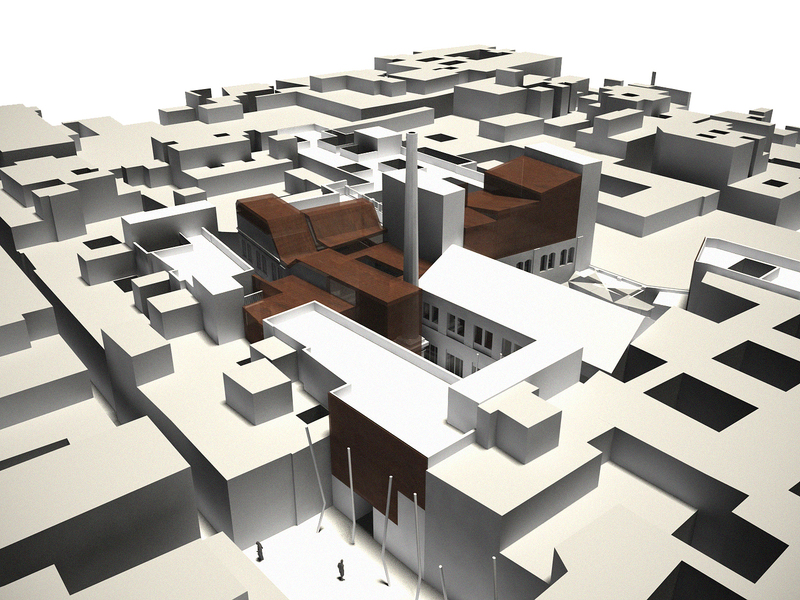 It is relevant to highlight the architectural value of the project, as we are talking about an ancient hat factory from the beginning of the last century. 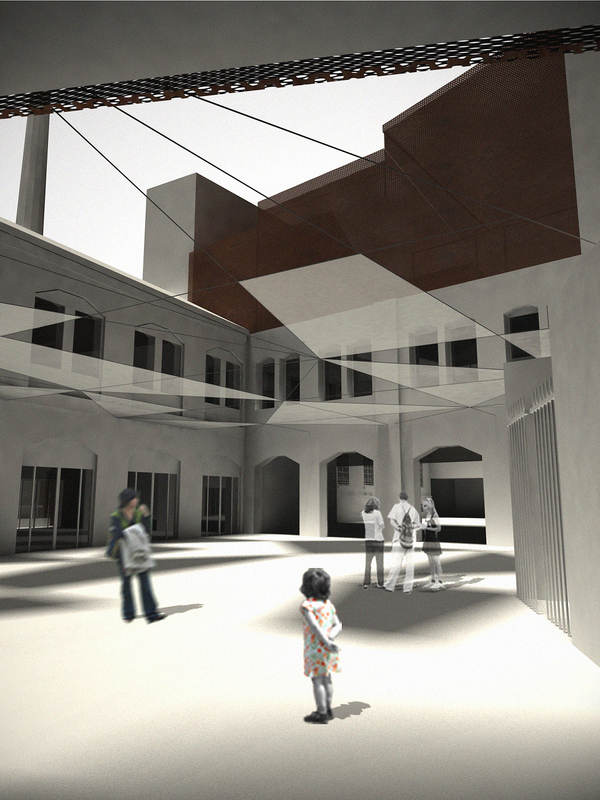 Work is from the well known regionalist architect Jose Espiau Muñoz. 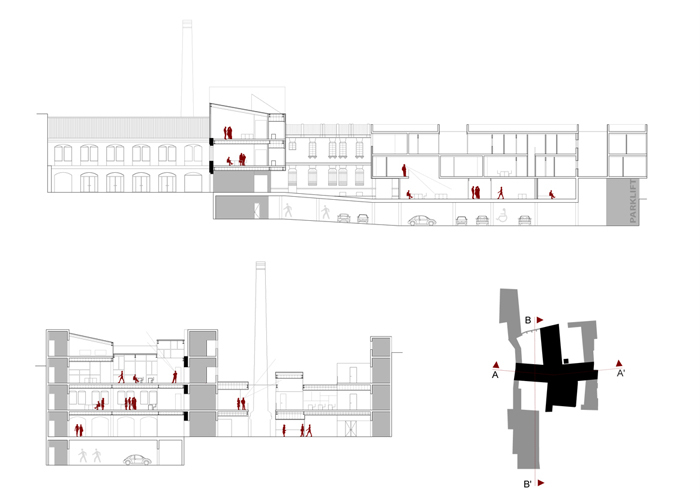 The alteration of the emplacement affected to all the buildings from the fabric complex except two and in between them a new building is built. 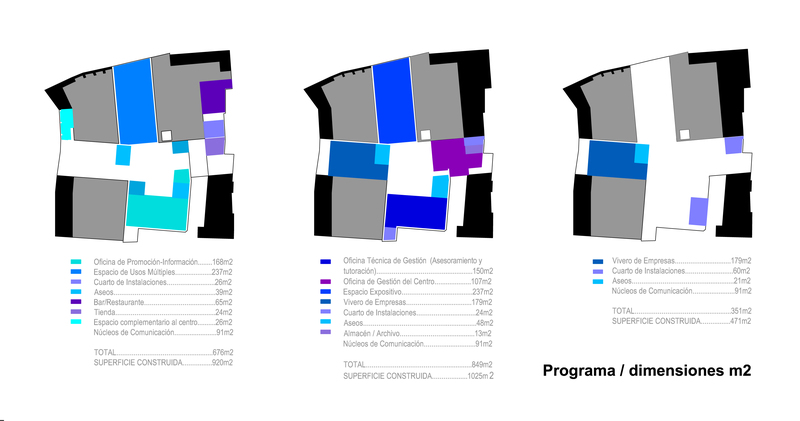 It helps to communicate the other two old buildings and generates new spaces to compliment the program of the Management Centre. 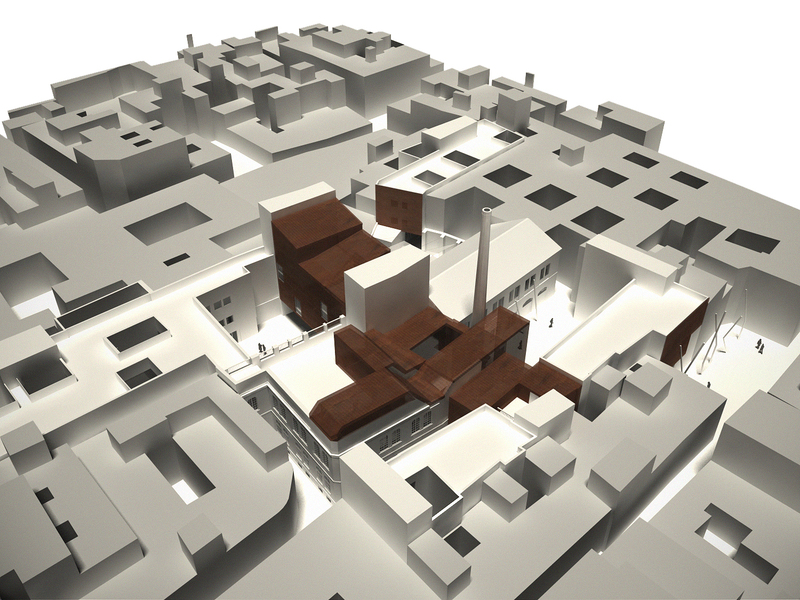 The demolition of the rest of the buildings generates a structure of three courtyards that helps to organise the space. 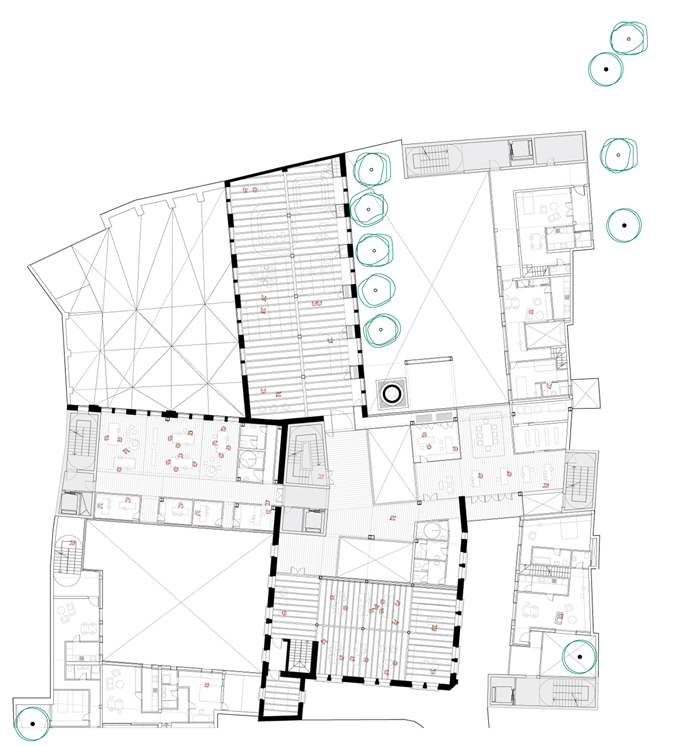 As a result it is possible to adequate the ground floor for all the residence buildings fro the handicraft activity.The apparent simplicity of the cross plant becomes more complex in the section inspired by the previous metallic structures of roofs above the areas for drying the hats. The aim of the program developed for this centre is to centralise all the handicrafts workshops in three main Production Centres having the Heliotropo Center of Arts as the epicentre. 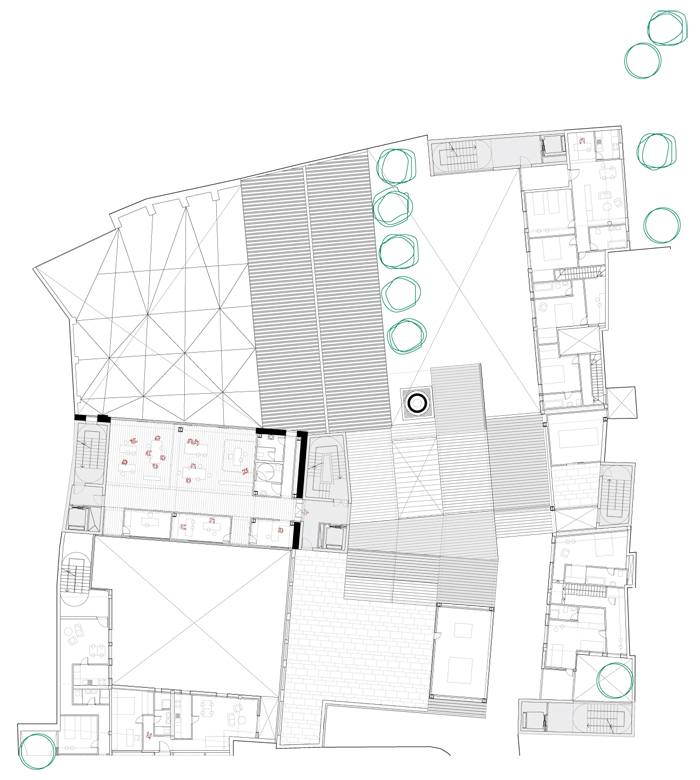 The main purpose for the Heliotropo Center of Arts was to administer the artists, so they could be more efficient and competitive on the market as well as create an intervention that will regenerate the area. Esta intervención viene recogida en el Programa de Rehabilitación Concertada del Casco Norte de Sevilla, parte del PGOU de Sevilla. Desde el conocimiento de una especificidad del área urbana en el que se han concentrado y mantenido actividades industriales y artesanales tradicionales.Además hay que destacar una situación estratégica, una actuación de acupuntura arquitectónica en la trama urbana que aporta la permeabilidad capaz de absorber las necesidades en el tejido urbano. Arquitectónicamente la intervención no carece de complejidad ya que entramos en contacto con una construcción de principios del siglo XIX proyectada por el arquitecto del Regionalismo Sevillano por excelencia: José Espiau y Muñoz. La intervención conserva las dos naves en mejor estado del conjunto y desarrolla entre ellas un edificio de nueva construcción, que además de servir como elemento comunicador ayude a completar el programa del centro. Con la demolición del resto de elementos de la fábrica se crean tres patios que ayudan a reconocer y reorganizar el espacio. Frente a la aparente simplicidad de la planta del conjunto la sección resulta ser mucho más caótica, inspirado por las antiguas estructuras de pórticos que cubrían las zonas de secado de los sombreros. Además todo lo que es el borde de la parcela se completa con un programa de viviendas en alquiler con talleres en planta baja para los artesanos. Teniendo en cuenta todos estos factores se plantea una estrategia de intervención a través de la cual se crea un Centro de Gestión de las actividades artesanales concentradas en la zona reorganizadas en tres centros de producción. El programa del edificio está pensado desde un principio para ofrecer los medios suficientes para convertir la artesanía en una entidad competitiva en el mercado productivo de Sevilla.